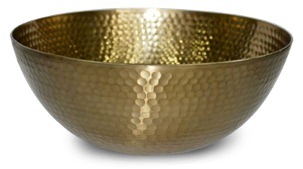 A Man's Home: Outfit Your Kitchen | Valet. It's one of the most-used rooms in your home. The kitchen is often front and center too, open to most guests and where people tend to congregate when you have them over—even if you're not cooking. So make sure that the room reflects the style you've brought to the rest of your place. Herewith, seven non-cooking essentials that will ensure your kitchen is sharp looking, functional and up to date. If your kitchen is lacking in light, consider a small lamp. It illuminates the space under your cabinets and adds a much-needed shot of architecture. 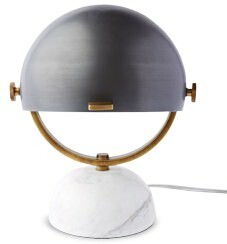 If you're worried about messes, skip a fabric shade for a more rugged option like this metal and marble midcentury option. One of the most useful and versatile items in your kitchen is basically just a large slab of wood. 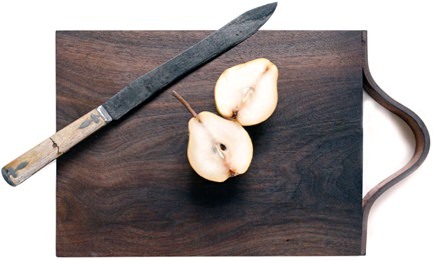 When it comes to a cutting board, plan on investing in quality. Look for a solid board (at least an inch thick) with unique grain pattern like this walnut version from Brooklyn's Pernt. A well-loved board can last for years. Never soak it in water or put it in the dishwasher, and apply a thin coat of mineral oil every few weeks to condition the wood. You really don't need that banana-hanging contraption on your counter. Or a separate vessel to store your other fruits along with your onions and potatoes. Keep them all in a large bowl on your counter. Equally functional and aesthetically pleasing, it's an easy way to store all of your unrefrigerated produce. Hear us out! We're not saying you need to use them everyday. But when you're having someone over for dinner, the last thing you should do is hand your guest a freshly-ripped paper towel from your roll. 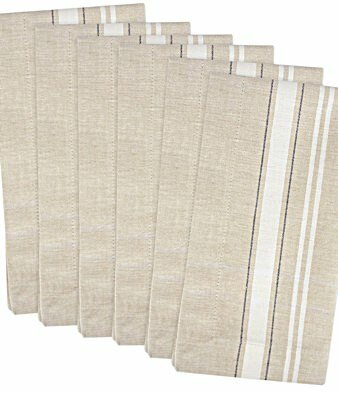 A few cloth napkins are one of the lowest investments you can make, but will probably be the one your guest appreciates the most. Kitchens, with all their wood and stone countertops can feel a bit hard. 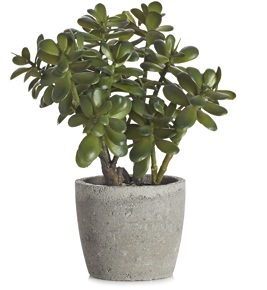 Soften up the space with a small plant or two and bring a touch of the outdoors inside. They tend to fit perfectly in a corner, by the sink or on top of a stack of cookbooks. 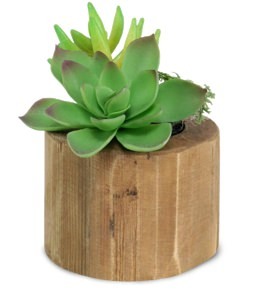 Succulents are easy to care for and add some nice texture. 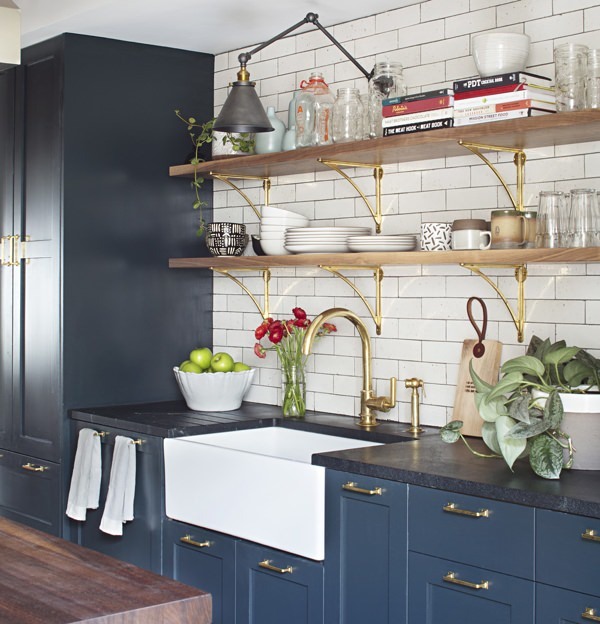 And if your kitchen doesn't have any natural light, don't worry—a faux succulent is one of the few artificial plants that look convincingly real. A stack of books will make any room look great—and the kitchen is no exception. Stack a few horizontally on the counter or lean some up against a cabinet wall. The books add a geometric shape and pops of color to the space, plus you can actually use them to cook new, delicious meals too. Need some suggestions? Here are four that we're getting plenty of use from lately. You know what's better than plain old salt and pre-ground pepper from a shaker? Flavorful, flaky sea salt and of course, freshly-ground pepper with plenty of bite. 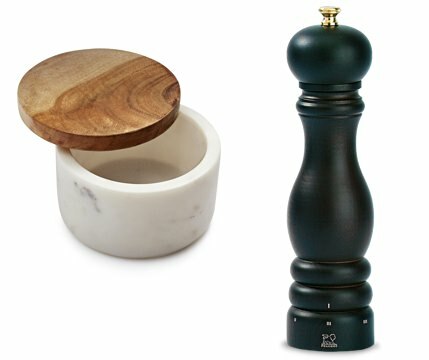 So keep a salt cellar and a sturdy pepper grinder near your stove and make them good looking enough to bring to the table when you sit down to eat. From 2003 to 2015, the share of men cooking and cleaning up in the kitchen daily increased from 35% to 43%. Six ways to stow your stuff in style and make your home look bigger and cleaner.